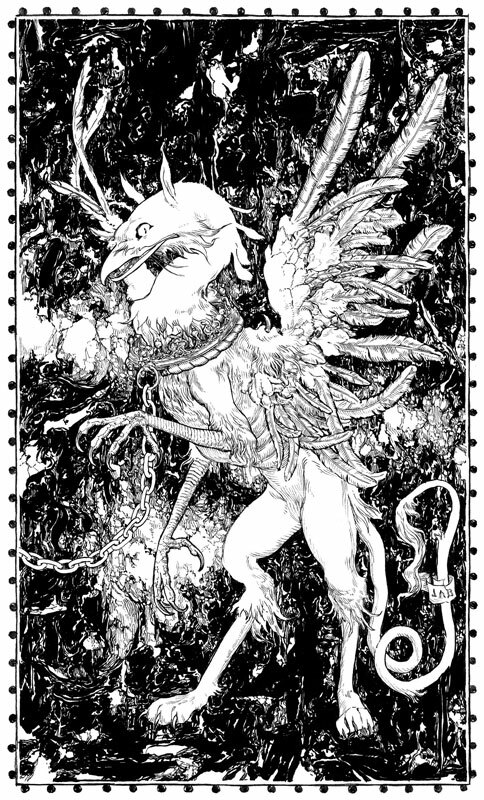 “The Griffon” (Ink on paper, 2009) is but one example of Jeremy A. Bastian’s love of the mythical and necessity for detail. Unless you’re a diehard comic book enthusiast or an avid student of art history, it might at first be difficult to imagine what comics and fine art really have in common. Comics tend to be denigrated as merely pop culture kitsch or kids’ stuff. And with all of the superheroes in colorful costumes, the Saturday morning cartoons, and the whole hub of merchandising aimed at children and adolescents, it’s not hard to see why someone might arrive at such a conclusion. On the other hand, fine art has been elevated to the pinnacle of creative innovation and self-expression for most cultures around the globe. 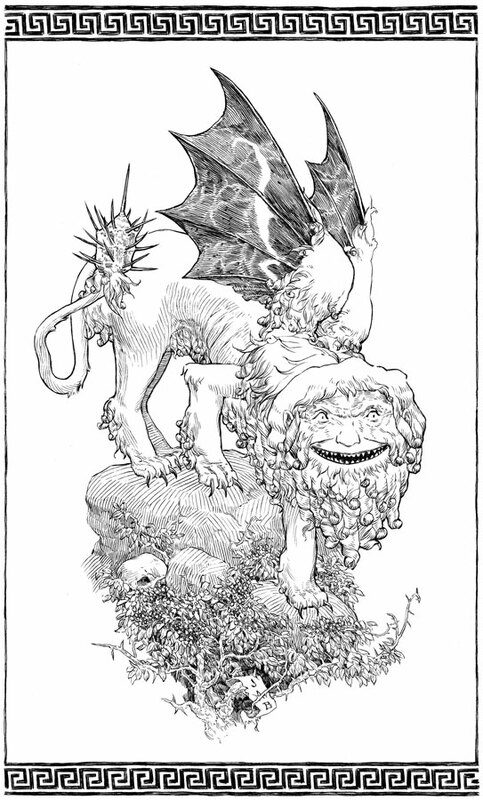 Another example of Bastian’s detailed and whimsical take on classic mythical creatures: “The Manticore” (Ink on paper, 2009). If you ask any true comic book fan if there’s more to the medium in terms of artistic or literary merits, they will promptly and adamantly attempt to persuade you of the cultural and social significance of comics. Similarly, not all comic fans may have an appreciation or understanding on the finer points of classical art much to the chagrin of art critics. Yet, there is a strong correlation between the two, though neither group of enthusiasts will necessarily admit to it. So, how does one bridge antiquity with modernity, the past with the present, and unite two groups of people who may have more in common than either recognize? The answer is simple: Jeremy A. Bastian. 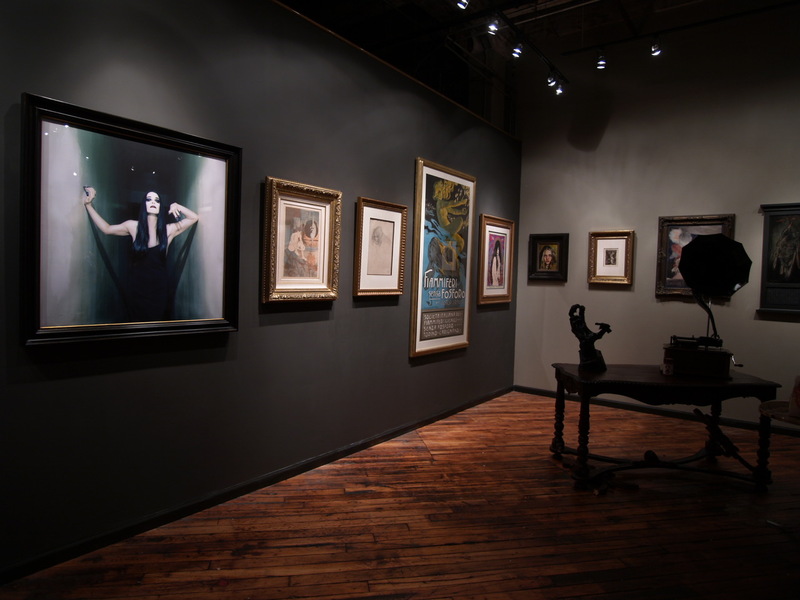 Posted in Austin Young, Century Guild Contemporary, Century Guild Events, Gail Potocki, Grand Guignol, Malleus Rock Art Lab on 21 October, 2011 by j.a. "Your first look at 'HÄXAN - Satan + The Women who love Him'"
Austin Young’s 1999 portrait of avant-garde diva Diamanda Galás lures you in to bear witness to the sensual horrors Century Guild has curated; Georges de Feure’s 1893 Japonist conjuration of wickedness “Friends of the Devil in the Flesh” and Gustav Klimt’s ultra-seductive “The Witch” (1919) are but a few of the number of important works documenting magical women. If you’re in Chicago, you DO NOT want to miss what we have in store for you. For more information, click HERE. Posted in Austin Young, Century Guild Events, Chris Mars, Dave McKean, Dean Karr, Gail Potocki, Grand Guignol, Malleus Rock Art Lab, Michael Hussar, Steve Diet Goedde on 15 September, 2011 by j.a. Artworks include original historical posters from the French theater of terror Le Théâtre du Grand Guignol, antique works on paper by Gustav Klimt and Alphonse Mucha, a selection of 19th century Devil imagery, and modern contributions from contemporary painters Dave McKean (cover illustrator of Neil Gaiman’s The Sandman), Michael Hussar, Gail Potocki, and Chris Mars; photographers Dean Karr (video director for Marilyn Manson), Austin Young, and Steve Diet Goedde; Italian poster art collective Malleus, and more. The event will take place October 22nd, 2011 at Century Guild (2041 W. Carroll, C-220.) The event is open to the public from 7-10 pm, and formal or dramatic costume attire is required. No one under 21 will be admitted. Century Guild was founded in 1999, and specializes in artworks 1880-1920, with emphasis on Art Nouveau & Symbolism. They have placed artworks in museums and top collections around the world. Works previously in the Century Guild inventory are on permanent display in The Art Institute of Chicago, The Detroit Institute of Arts, and The Metropolitan Museum of Art. The Century Guild showroom is available for scheduled viewings. To contribute to the production of the exhibition book, visit our Kickstarter page HERE.